Our skin is the largest organ we have and what we put on it should matter! This thinking didn't sink in with me straight away! After I began feeling uncomfortable about, putting something that caused others to suffer, on my skin; I started looking into alternatives. I started buying a range of vegan products from different companies to figure out which ones I preferred. I also explored what to do with the non-vegan makeup that I owned already. You can read about that here. Find out about the new range of vegan ready meals in Morrisons. Find out about the new range of vegan options in Sainsbury’s. Find out where you can get vegan chocolates without having to make a trip to a specialist store! There's been a couple of articles recently, that have whipped up a sense of fear and high alert about whether we can trust the food we buy. 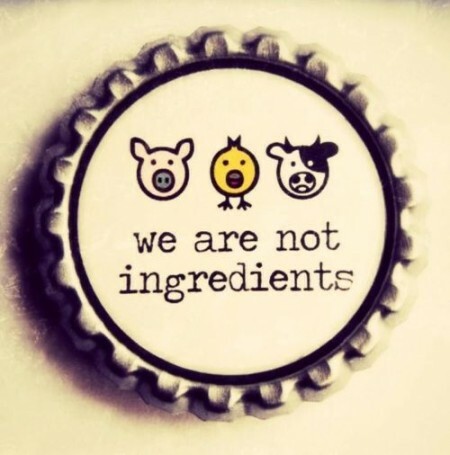 Are you worried that your vegan products aren't as pure as you hope they'd be? Are you concerned about eating something you've vowed to abstain from eating? You might have found yourself wondering if you're expecting too much? Maybe you found yourself debating whether traces are OK, and significant levels are not. Did you end up asking yourself whether anything can be 100% vegan? When I began following a vegan diet, I got told that I'd only find vegan chocolates in heath food shops. I wasn't very impressed with that because I haven't got one very close to me, so it means making a special trip to get some treats!